Gold Mountain Casino - Ardmore's best gaming!Gold Mountain Casino | Ardmore's best gaming! 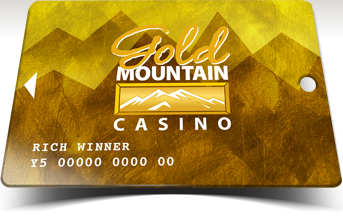 With a Gold Mountain Rewards Club card, you’ll have more chances to win by earning entries into our fun promotional giveaways! Stake your claim to fun and excitement! Visit Gold Mountain Casino for one of the best gaming experiences in Carter County. Located less than 5 miles east of I-35, the 8,620 square foot casino features more than 300 electronic gaming machines. If winning is one of your favorite pastimes, this Chickasaw Country Destination should be your next stop! Now Available at Gold Mountain Casino! 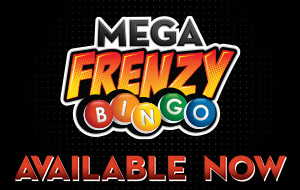 Get in on the action of Mega Frenzy Bingo, the exciting NEW way to play at Gold Mountain Casino! Mega Frenzy Bingo is a progressive bingo game that accumulates a progressive prize award from a variety of participating casinos. Every game features a guaranteed progressive jackpot winner, so the more cards that are bought… the higher the final prize!